May 8, 2015 Kevin DuffyAdvertising, Branding, General, Homepage, Why True? A few years ago Taco Bell came under fire for advertising beef tacos that do not contain enough actual beef in its meat filling to justify calling it beef. This led to a countersuit as well as a print ad thanking people for suing Taco Bell. Taco Bell even created a YouTube video in which they defend their Tacos (there’s a joke in there somewhere). But the real story is not the suit itself, it is how this story blew up in the media. Hundreds of outlets latched on to this story and reported on it, as well as the Twitter memes (#wheresthebeef) and other social media chatter. And why did it blow up? Because it validates the sentiment many have: Advertising and marketing is nothing but a bunch of beautifully packaged lies. It’s easy to understand why this sentiment is so pervasive. It starts at a young age. The toys that come out of gumball machines are nowhere near the level of fun projected on the gumball machine graphics. Those see-through glasses don’t really see through anything. Eating Wheaties doesn’t turn you into Shaun White (although, it did for Shaun White). For a brand, being authentic means being true to its values. Showing a sense of purpose or mission. And being consistent. Just as you can probably tell when someone is lying to you, consumers can tell when a brand is lying to them. Authenticity builds trust. And from trust comes long-lasting relationships. Apple is an authentic brand and has created a legion of loyalists that seem to turn every new product into the latest must-have sensation. Take Southwest for another example—in my mind, a very authentic brand. Their brand values include great customer service and an economical, no-frills—but comfortable and enjoyable—flying experience. Every point from checking in to the person who asks me to line up according to my number, to the bad jokes the airline attendants make is consistent with that brand experience. Their employees seem passionate and when Southwest tells me that they think a fee for baggage is outrageous, I believe them. It’s consistent with my brand experience. It doesn’t take years of seminars and specialized training to effectively make your brand more authentic. Just be passionate and be truthful. (Really, despite what you might think, there is truth in advertising.) And remember, advertising and marketing simply reinforce and amplify qualities that already exist. It cannot (in the long term) create a reality that does not exist. If you want to be perceived as something, you have to actually be that something. Authenticity takes commitment, and it takes dedication. 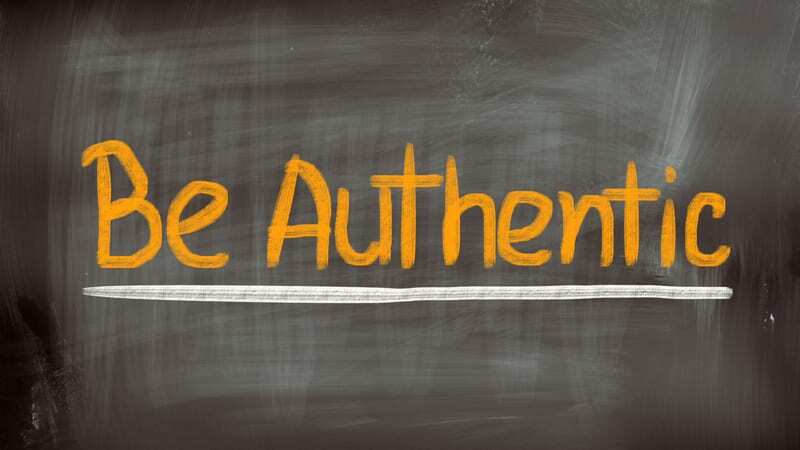 But if you can achieve true authenticity with your brand, you’ll create life-long customers and a legion of free word-of-mouth advertisers that will take a personal interest in your success. Whole Foods is another great example of this. The food company is passionate about the quality of their food and the values it exposes. Whole foods devotees will tell why it’s worth paying a little bit more for their products. Their loyalty is almost cult-like. But that is because, in part, their fans see them as an authentic brand. Authenticity could be the golden ticket for brands and it’s seemingly so easy to achieve. Stop trying to be something you’re not and just be the best of who you are. And if you want to be considered the best thing since sliced bread, then actually be the best thing since sliced bread.